I recently started compiling this playlist called “Music That Can Play Really Loud But Still Feel Like Background Noise.” None of these songs are really bad, and the title is something of a joke. Currently the playlist features the likes of Deafheaven, Radiohead, and Trent Reznor & Atticus Ross, and none of these artists make boring music. That being said, if I’m going for a long drive where I’m going to talk to someone, but I still want music to play; I’d be more inclined to put on this playlist than my collection of metal or songs with literary references. 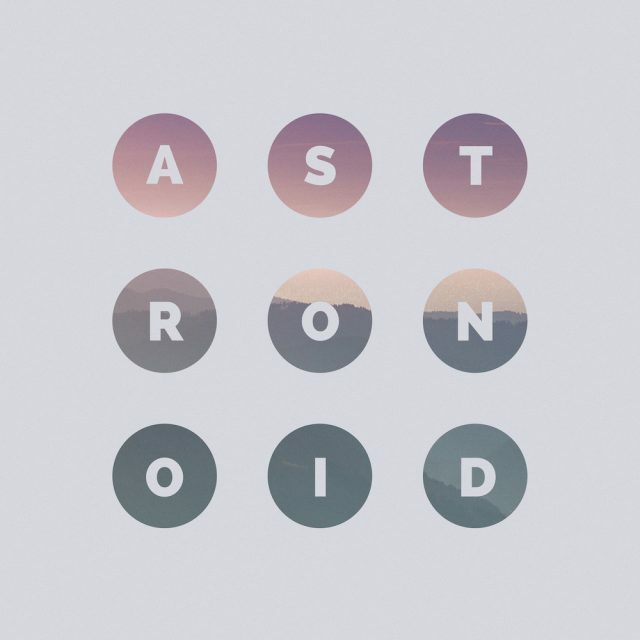 Astronoid takes the shoegaze and atmospheric elements of those bands that I like and pumps them up with a power metal like brightness that really makes their self-titled third album kind of a drag. While there are definitely elements of Astronoid that are admirable, they lack the real scope that bands like Deafheaven have laid before them. The soaring guitars are a little too bright. The clean vocals are distracting. Most of all, there’s very little variety in their songs. Astronoid are plenty good musicians, but while some of these songs begin with unique sounds, they enter these swelling chugs that don’t amount to anything at all. Plenty of bands embrace black metal’s intensity, but the plain-ness of their leads and Brett Boland’s droning tenor just make the record sound like a slightly louder version of Nothing. Of course, when the band breaks the mold, they’re much more engaging. Two of the album’s final tracks are much more engaging than the rest of the LP. “Beyond the Scope” is a slightly slower tempo for the beginning and falls more into a groove. “I Wish I Was There While the Sun Set” embraced some of the brighter elements we saw on Ordinary Corrupt Human Love last year. Still, Boland’s droning voice and tedious lyrics are enough to take you out of the song. Where many vocalists use their instrument to add to the texture of a song, his just feels tacked onto what would probably be a pretty good instrumental outfit. While Astronoid’s self-titled provides few thrills to metal listeners, it is an accessible album. More so than any artist who incorporates black metal so prevalently into their style, Astronoid are a band that even the most defiant listener can find enjoyable. While it’s not as inventive as Zeal & Ardor or moving as Code Orange, Astronoid can blend in and maybe convert a few fans.